61. Which one from those given below is the period for Mendel's hybridization experiments ? 62. Good vision depends on adequate intake of carotene rich food. (a) Vitamin A derivatives are formed from carotene. (c) Retinal is a derivative of Vitamin A. (d) Retinal is a light absorbing part of all the visual photopigments. 63. Which one of the following statements is not valid for aerosols ? 1. mating of related individuals of same breed. 2. mating of unrelated irdividuals of same breed. 3. mating of individuals of different breed. 4. mating of individuals of different species. 67. Which of the following statement is correct ? 1.The ascending limb of loop of Henle is impermeable to water. 2. The descending limb of loop of Henle is impermeable to water. 3. The ascending limb of loop of Henle is permeable to water. 4. The descending limb of loop of Henle is permeable to electrolytes. 69. A baby boy aged two years is admitted to play school and passes through a dental check - up. The dentist observed that the boy had twenty teeth. Which teeth were absent ? 65. 2. mating of unrelated irdividuals of same breed. 67. 1.The ascending limb of loop of Henle is impermeable to water. What is a Glycosidic bond? How to prepare for NEET / AIPMT? How to prepare for biology exam? How to prepare for MCQs ? How to appear for biology exam? 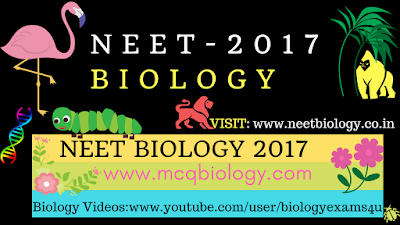 © NEET Biology: Medical Entrance Biology Questions and Answers, AllRightsReserved.